"...Country Bob’s All Purpose Sauce is in a class by itself. It is more than a steak sauce, because of its unique flavor and the variety of uses. You can grill, cook, and marinate with it, or put it in your soups, stews, baked beans, and your other favorite dishes. Experience the Taste of our Gluten Free All Purpose Sauce! Steak, Chicken, Barbeque, Fries, Hamburger, Fish and so much more!.." I’ve recently had the pleasure of reviewing Country Bob’s All Purpose Sauce. Please read on . . . I was sent a delicious full-sized bottle of Country Bob’s All Purpose Sauce to review! To properly review Country Bob’s All Purpose Sauce, we decided to marinate and grill mini steaks on the stove! I put some Country Bob’s All Purpose Sauce on the steaks! This is how they looked after marinating & tenderizing. Here are the steaks as I placed them on the grill. Here is the final product. As you can see, the Country Bob’s All Purpose Sauce held up very well as a marinade! My husband fell in love with Country Bob’s Sauce! He probably ate the whole bottle! He added it to all the food on his plate! Tastes like a BBQ Steak Sauce! Works with Many Different Foods! My family and I really like Country Bob’s All Purpose Sauce. It puts fascination into an everyday boring meal. The taste is unlike any other. It is sweet, yet compliments any food you put with it! We really enjoyed experimenting with the sauce, and look forward to our next barbeque! 1 of my lucky readers will win a bottle of Country Bob’s All Purpose Sauce for FREE! MANDATORY ENTRY: What is another Country Bob’s product that you’d like to try? 1. Follow Country Bob’s on Twitter. 2. “Like” Country Bob’s on Facebook. 4. Subscribe to my email newsletter. 6. Like me on Facebook. 7. Follow me on Networked Blogs. 8. Follow me via GFC. 9. 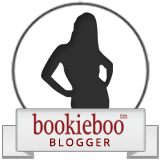 Add my button to your blog! 10. Tell me about your favorite way to marinade something. 11. Blog about this giveaway with a link back to me. I would like to try Country Bob's Barbeque Sauce. I would use the sauce on our BBQ Ribs. The spicy all purpose sauce. I would love to try the Country Bob's Seasoning Salt. It looks delicious. I like to use a large Ziplock bag--for chicken, Newman's Own Light Lime Vinaigrette Salad Dressing is scrumptious! For meat, either an all purpose sauce marinade or a BBQ sauce. I would also like to try the Recipe for Country Bobx Neopolitan Pork Chops if I won his special sauce. When I marinate I usually use Italian Dressing. i would lovee to try that bbq sauce!!! The BBQ sauce would be a good one to try. It would go into my pantry. I frequently use an Italian dressing marinade, and combine the meat and marinade in a zip bag. This sauce would be for my husband and I.
I like to marinade chicken in italian dressing, garlic and spices. I would love to try the Country Bob's Seasoning Salt. I want to get this for my husband who is always adding sauces and stuff over his food. I like the Country Bob's Spicy All Purpose Sauce! I want to try Country Bob's BBQ Sauce. If I won this would be for the whole family, but I would probably eat most of it. I would love to try the Spicy All Purpose Sauce.